Welcome to the homepage of YGT. Processing technique to laminate material with a different characteristic is made use of in various fields. For example, as for a lot of surroundings including building materials, printed matter and the double-stick tape such as furniture, window and walls materials such as a household appliance, a table or cupboards such as cell-phone or TV, there is a laminating processing technique product. YGT Co., Ltd. is the design of the adhesion film which is new in laminating processing technique and the company which I laminate it and process. I mass-produce it from trial manufacture. "Is there not such an adhesion film?" "Can you not improve conventional products?" "Such, can you not process it?" Please refer for any consultation. It is every day challenging an unknown thing, but is easily often settled other than in talking with each other. With courage, I work with an obedient feeling. A dream and hope should come true by all means if I let each other's techniques fuse. It is a waste to give it up from a beginning. Not reason, it is every day conflicting by "even what challenge". I contribute as a business partner of the new technology development in laminating processing technique. 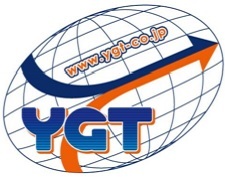 Copyright(C) YGT Co.,Ltd. All Rights Reserved.